How To Remove Stretch Marks In Dubai? Stretch marks happen due to different reasons. Usually, they are found on the abdominal wall, but may also occur at the upper arms, breasts, buttock, thighs, and back. Sometimes, it may cover the huge areas of your body. Normally, they are not harmful, but they look bad and you may feel embarrassment due to their existence. Different causes play their part in their onset. Pregnancy is considered as the main reason behind these marks, however, some other reasons such as rapid weight loss or weight gain, stress, alteration in the physical conditions, and heredity factors are also the cause. Read on to know effective treatments to remove stretch marks. Home remedies are considered effective when it comes to the removal of stretch marks. Most of the people prefer their usage because they don’t come with any side-effect. Castor Oil – It is utilized to treat various skin problems that may include age spots, dark spots, moles, wrinkles, pimples, fine lines, and of course stretch marks. All you need is to take a few drops of castor oil and apply it on the affected area. Massage the area for almost 5-10 minutes in the circular motion. Take a thin cotton cloth and wrap the area with it. After that, you need to take a hot bottle and apply some heat on the affected area. Be in this position for almost 30 minutes. If you want to notice positive results, repeat the procedure for at least one month. Lemon Juice – Another effective remedy is to use the lemon juice. Its anti-oxidant properties work for reducing stretch marks, dark spots, and acne. Also, it helps to heal the skin. You need to take a lemon and apply its juice on the marks in circular motions. Leave it for almost 10 minutes, and then rinse by using water. Use it for almost one month and see the amazing results. Different latest options are available to treat stretch marks. Hence, laser treatment is one of the most used methods. Euromed Clinic is dealing with the best laser equipment to provide you with outstanding results. Before getting the procedure, you need to know if you are a good candidate for it or not. You will be able to achieve the best possible results only when you are a good candidate. Contact your doctor to know your candidacy. A laser beam is used to hit the affected area and make the area well-treated. A prior consultation is recommended by the experts so that your doctor will examine you and let you know which treatment will work for you as per your expectations. 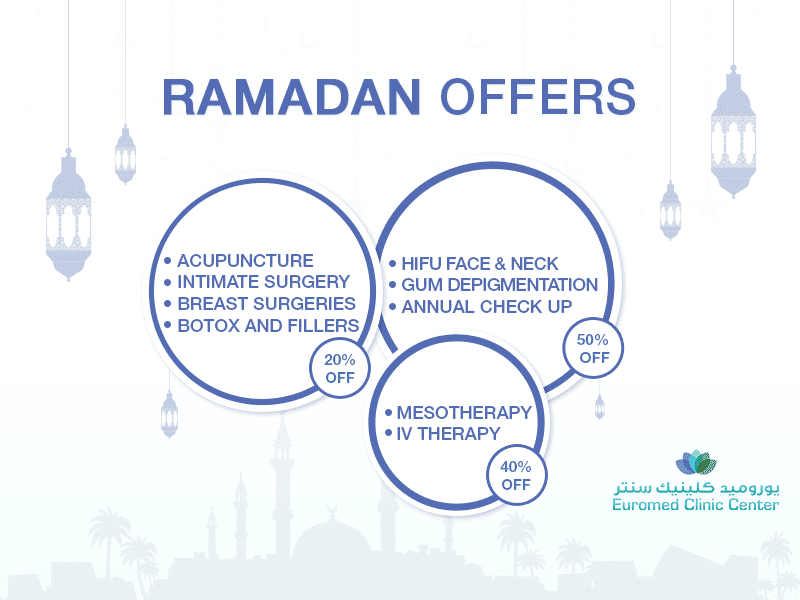 Here, at Euromed, we are offering a FREE consultation. Just fill the following form to get the consultation. Once you fill the form, one of our experts will get back to you in a short time period. What are you waiting for when you have such an amazing opportunity? Go ahead, fill the form, and book your appointment now!